The new TLD stand-up rod has an improved blank. The XT60 + Biofibre blank is thinner – yet stronger – than the previous version of the TLD. This rod is the perfect choice when you want to fish for big tuna with a reasonable priced, powerful and trustworthy stand-up rod. The complete range consists of 4 models; 20LB, 30LB, 50LB, 80LB. The 30, 50, and 80LB have roller guides while the 20LB model has normal guides. 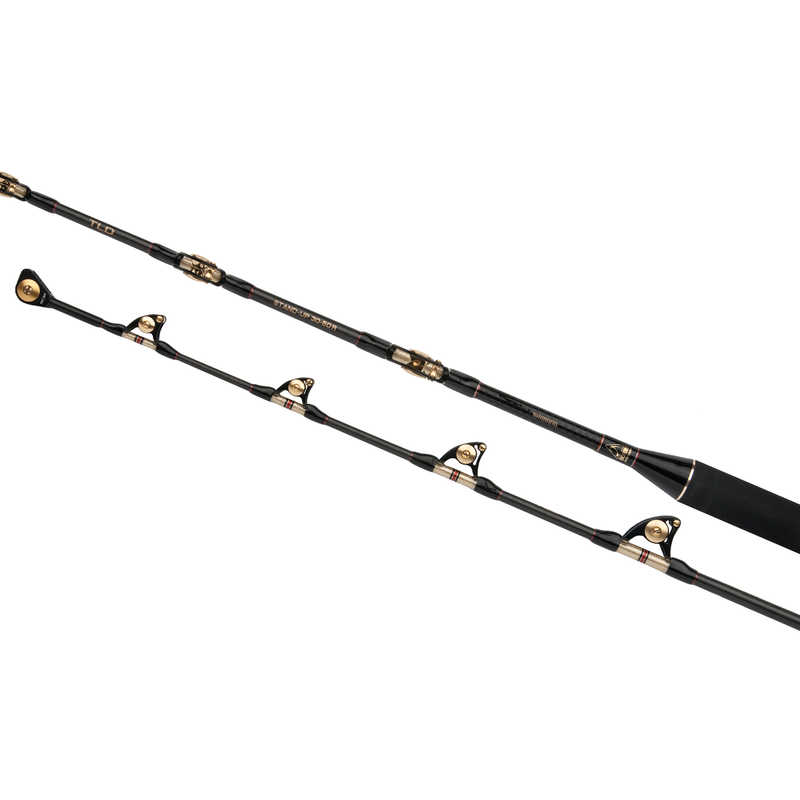 With this stand-up rod you can be confident to fight the big ones of the saltwater.